Stolen Honda Civic #Sackville. Please Share! | Sack-Vegas!!!! 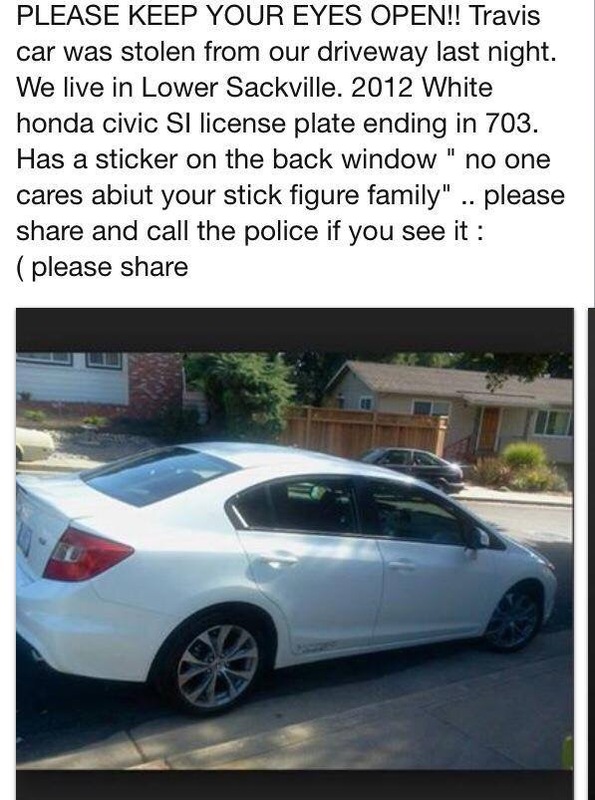 Stolen Honda Civic #Sackville. Please Share! My husbands car was stolen from our drive way this morning on Boxwood cres. 2012 honda civic SI EZY 703. Has a ” we dont care about your stick figure family” sticker on the back. White in color. Had all of our daughter Christmas presents in the trunk 😞 902 999 1669 or call the police! Keep an eye out, folks.